The wall hung GTF series water heaters are gas fired hot water heater with sealed combustion chamber and atmospheric burner equipped with fan in the combustion circuit. Fitted with an adjustable fume hood for an easy installation of the fume discharge system. OUTER CASING – pre-painted sheet metal. 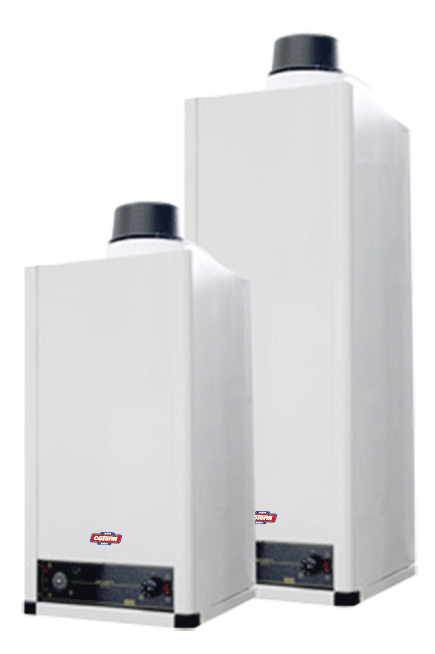 Fill in the form below to be e-mailed GTF 80-120 SERIES GAS fired WATER HEATERS data sheet. Thank you.